It has been said that poor lifestyle choices and bad eating habits have led to a spike in type 2 diabetes. Type 2 diabetes is a condition that occurs when the body cannot produce insulin to regulate blood sugar levels. According to the Center for Disease Control (CDC), 100 million people world-wide are currently living with diabetes or pre-diabetes, meaning the earlier stages of diabetes. A new study in the Lancet Diabetes and Endocrinology journal states that nearly 80 million people with the disease will require insulin by the time 2030 rolls around, but how are these people going to get what they need if we are beginning to experience a shortage in the insulin that is needed to help millions live their normal and everyday lives? Many are also wondering why insulin has managed to consistently stay as expensive as it is over the last 97 years. Insulin is made in both bacteria and yeast. If it can be made from bacteria and yeast, why can’t scientists and insulin producers make more of the drug? According to CNN News, the answer is simple, there is too high of a demand for this drug and if the diabetes levels rise as much as they are expected to it will lead to a shortage. Currently, millions all over the world depend on this drug to help improve their quality of life. There are two types of this disease, type 1 and type 2. What are the differences in the two? Well, type 1 diabetes is where the body naturally cannot produce insulin and it does not go away. 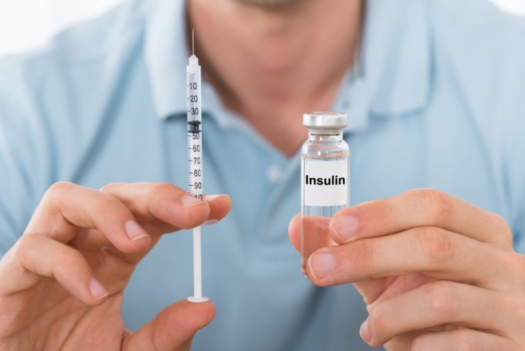 People need the insulin to survive because their body is incapable of producing it itself. Type two, on the other hand, is curable. Type two pops up in those who do not live the healthiest kind of lifestyle. Their body produces insulin, but it is not used well which causes the blood sugar levels to become irregular. The reason the diabetes levels have spiked so much is due to the fact that people are simply not living a healthy lifestyle and it is hurting those who naturally cannot produce the insulin on its own. They have to suffer because other people cannot control their eating habits.